Music and work have a long and strong relationship. Agree? If you want to intensify the work capacity and you are a music lover then there is no way out than to listen to your favorite music and increase the outcome of your effort more than usual. What's in my bucket today? Today the deal is all about the best wireless headphones for the workout. The real music lovers are the one who even never thing to leave their headphones behind when they are about to step in their work out sessions. Listening to music and twisting your body and soul is the best way to spend your boring gym sessions in the most enjoyable way. Leave other things for good, just fix your earbuds in your ears and kick the rest of the world out of your mind. 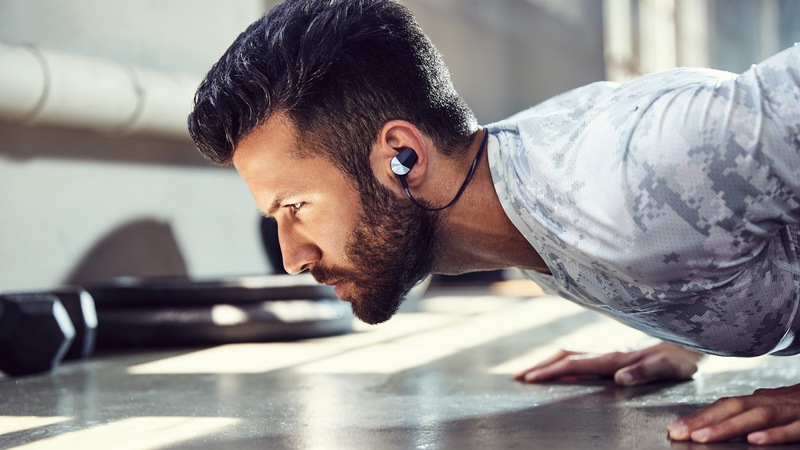 However, you will be flooded by so many options if you are about to choose the wireless headphones for exercise that would suits you better, though it is not an easy task, therefore ease yourself and checkout Aajo wireless earbuds for the workout, you will be astonished once you find out what it really offers you. AAJO wireless headphones are designed purely for the athletes, sportsmen and for those who never compromise on the music quality. These wireless headphones consist of 5.0 Bluetooth connectivity and are able to be connected and can perform well with the collaboration of any Bluetooth enabled device. These wireless headphones are extremely comfortable whether you wear them while jogging, cycling, climbing, lifting or any other intense activity, they neither fall out nor they hurt your ears if you intend to wear them for long hours, all due to its small and ergonomic design that enable them to fit into your ear canal perfectly. 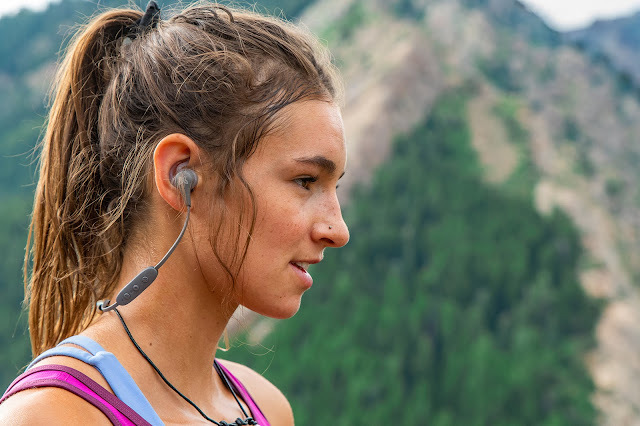 AAJO wireless earbuds are IPX5 waterproof, which makes them water resistible (non-waterproof), in addition, they are sweatproof as well, hence, if you sweat a lot while running, whether you run on the track or treadmill, these sweatproof wireless earbuds will provide you exactly the same quality of sound which they have promised you regardless of these hurdles. How long they can play? These Bluetooth wireless headphones, once fully charged which takes 1.5hours, can provide you 6 hours of playtime, plenty of music for the whole day, not only for work out but wear them at home in leisure or at the office, on traveling and as many time as you like. Further, it comes with a portable battery case which makes total 18 hours of playtime, until or unless the case itself runs out of battery. Are they able to cancel the noise? Certainly, there are two types of noise conditions; one is when you are listening song in a deserted place but in a company of one or two people talking to each other, since these wireless headphones can minimize the conversation with minimum leak out, they become noise isolation earbuds. Whereas the other condition is if you are wearing them in a place where there is a lot of crowds or at a musical night, pub, casino, etc. in such place there is a lesser possibility to reduce the leak out. In short, in both the conditions, these wireless earbuds wouldn't serve as a noise canceling, yet they are able to isolate the noise due to its capability to reduce the external voices. How well they can be connected? Just pull out these wireless earbuds from its battery case, they will automatically get connected to each other. Search and connect the Bluetooth with your phone, once they are connected next time whenever you want to use them they will connect to your phone when you pull them out of the case. Moreover, its 5.0 Bluetooth able to provide strong connectivity within the range of 33 feet with your device, without any distortion or discomfort. AAJO Bluetooth wireless headphones are exceptionally designed for the people who carry their earbuds along with them wherever they go and whenever they want to play their favorite songs. The best way to optimize the outcome of your exercise, the way you have done never before.